What could be more fascinating than following the history or royalty and clans in some of the most beautiful places on the planet? Arrive in Edinburgh for a welcome reception and dinner at your hotel, the Waldorf Astoria Edinburgh – The Caledonian. After a good night’s rest visit the sights including the Royal Yacht Britannia, The Palace of Holyroodhouse, and a guided tour of Edinburgh Castle. Then the next day off for an excursion to the Scottish Borders where you'll spend time at the stunning Floors Castle with a privately guided tour of the castle and gardens (Junior Adventurers can enjoy the outdoor area with their Adventure Guides) along with a private lunch and a shortbread-making lesson. Time to depart Edinburgh for Inverness and the Highlands where you'll visit the Glenturret Distillery followed by lunch at the distillery's Wild Thyme Restuarant. Then off to Blair Castle for a privately-guided visit before arriving at Kingsmills Hotel in Inverness, your home for the next four nights. This evening the adults enjoy a group meal together in a private setting at the Kingsmills Hotel with entertainment provided by a local Scottish storyteller who will regale the group with tales of Scottish lore and traditions. Junior Adventurers have time on their own with their Adventure Guides for dinner and a Disney movie before joining their parents for the storytelling. 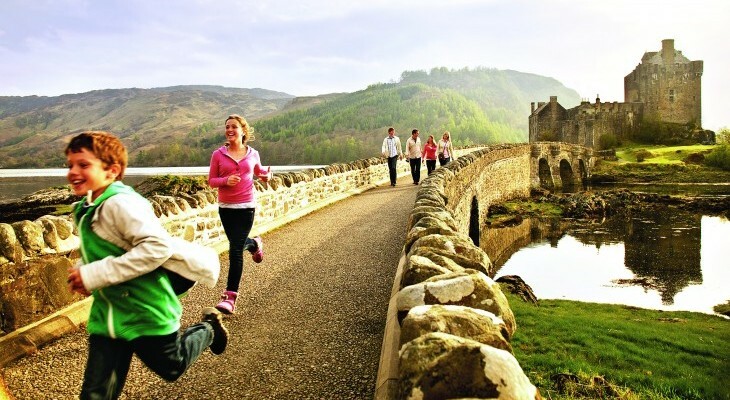 The next day enjoy Loch Ness with a canoe ride on the loch in search of the famous Loch Ness monster, then tour the eerie Urquhart Castle back on shore. In the afternoon expert falconers will show you the finesse, subtlety and skill that is required, as well as give insight into these graceful and elegant birds of prey. Day 6 visit the Culloden Battlefield Site with lunch at the Mustard Seed Restaurant on the banks of the River Ness. Then bike ride along the Caledonian Canal avoiding busy roads as you head along the canal towpath to Dochgarroch Loch Gates, where you can relax and watch the boats move up through the gates before they head out to Loch Ness. Dinner this evening is at Bogbain Farm for a delightful evening filled with Ceilidh dancing, traditional Scottish music, delicious Scottish barbecue and storytelling. Perhaps everyone’s favorite day is the adventure at Rothiemurchus Estate—one of the greatest tracts of ancient woodland forest in Britain with its beautiful Loch an Eilein and a 13th-century castle sitting on the lake's wee island. Enjoy archery and partake in Highland games competition before lunch featuring locally sourced Scottish foods served in the vintage marquee on the Inverdruie House lawn. After lunch hike on the estate during which Junior Adventurers take part in a scavenger hunt along the way. 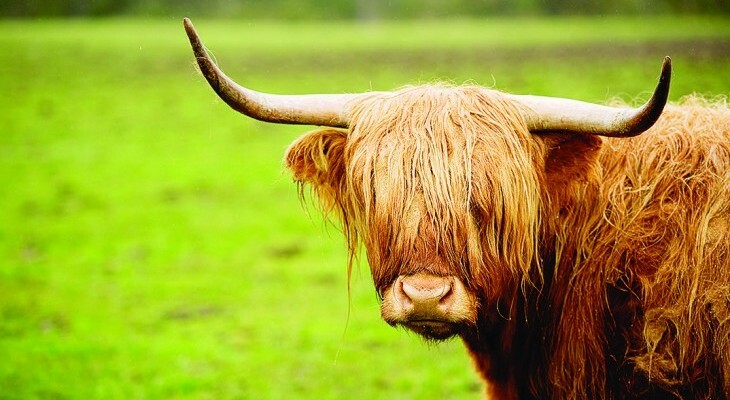 Then motor coach around the property with a stop to feed the traditional Highland cattle and to feed Scottish red deer. A farewell dinner at the Hotel Bid Soraidh at your hotel includes Highland dancers and bagpiper. For me, one of the most fascinating and romantic areas of Europe is Austria and the Czech Republic. 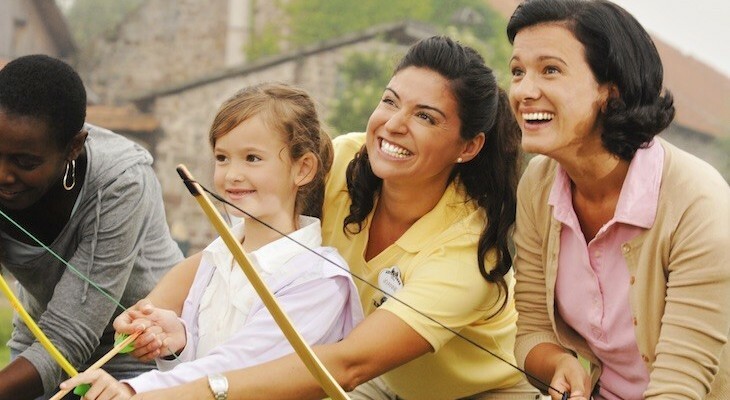 Medieval castles and storybook villages all come true with an Adventures By Disney guided family vacation. Begin your adventure in fascinating Prague where your hotel is the Prague Marriott, just steps away from Gothic Old Town Square. Take a walking tour of famous landmarks such as St. Vitus Cathedral, Charles Bridge, and the medieval Astronomical Clock followed by a progressive dinner through Prague’s Gourmet Passage and Lod’ Pivovar. Stop in quaint Česky Krumlov on your way to Salzburg, Austria where you'll check in at the Sheraton Grand Salzburg. The next day enjoy a tour and lunch at Hellbrun Palace, then a privately guided tour of locations from the film “The Sounds of Music”. At dinner that evening you’re entertained by Mozart violinists at St. Peter’s Stiftskeller, a UNESCO World Heritage Site in operation since 803 A.D. Your second day in Salzburg comes with a choice of activities: either a Private tours of the Eishole Ice Cave with it's ethereal Ice Cathedral; or an organic farm and cheesery tour. Then a visit to the medieval Hohenwerfen Castle. 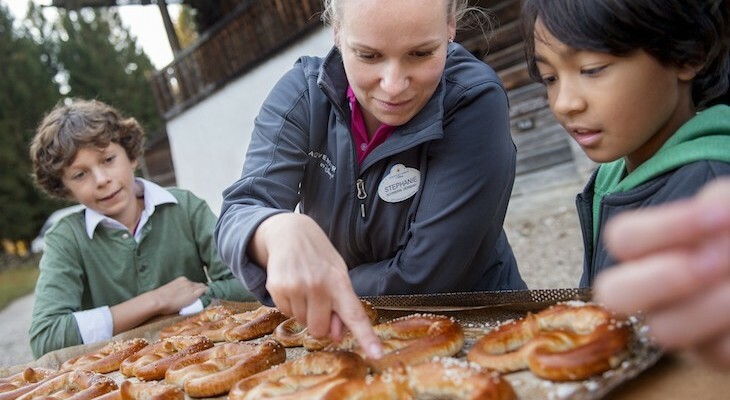 The next day is a private tour of Hallein Salt Minewhere you will glide on a raft over the glimmering salt lake!Then a visit to Hofbrau Kaltenhausen for a tour and tasting of Salzburg’s oldest brewery followed by lunch on the lake in Mondsee. Off to Vienna for check-in at The Ritz Carlton. 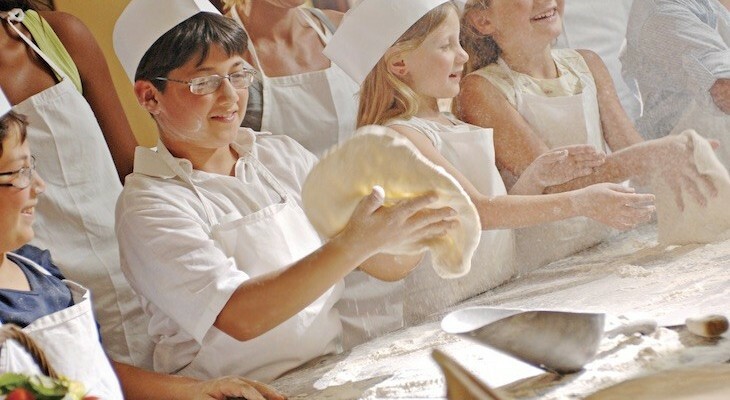 In Vienna is a visit to the UNESCO World Heritage site, Schonbrunn Palace, followed by a strudel making demonstration and tasting. This evening brings a private tour of the Vienna Zoo with dinner in the Emperor's Pavilion there. Your last day of a spectacular vacation is at the renowned Royal Spanish Riding School in Vienna's ornate Hofburg Castle—even and waltzing lessons! The trip’s grand finale is a private dinner at Zum Martin Sepp Restaurant. 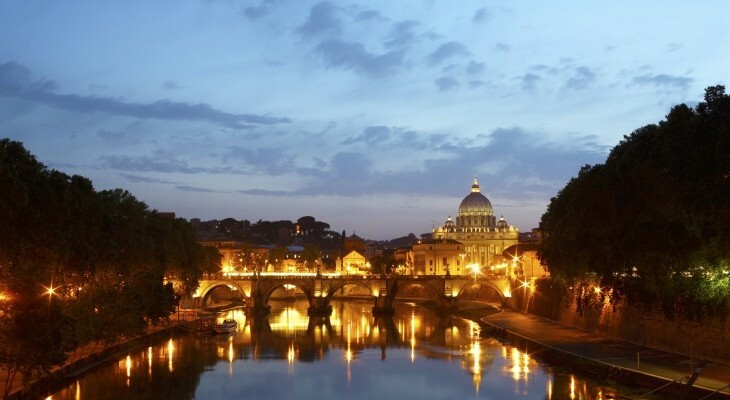 Some of the most romantic places on earth can be found in Italy. Of course, fabulous food, places steeped in history, fascinating ruins, and lovely beaches simply go without saying. On arrival in Naples you’re whisked off to Sorrento to begin a uniquely charming vacation. The Hotel La Favorita welcomes you with a reception and dinner the first evening. On day two wind your way along Italy’s spectacular coastal region for an exploration of the charming cliff side village of Postino before boarding a private boat to yet another charming place, Amalfi. Back in Sorrento that evening you’ll dine on pizza that you make yourself while enjoying an Italian folkloric dance presentation. The following day take a ferry to the magical isle of Capri and ride a funicular to the heights of Capri town, followed by a private cruise around the island and a chance for a dip in the sapphire blue water. A visit to ancient Pompeii with a private guided tour of the ruins is truly a highlight before riding a high-speed bullet train to Florence and the Hotel Bernini Palace which is just steps from the main piazza. Next day, walk the streets of Florence on a guided tour, see Michelangelo’s “David” and the Duomo, then embark on a privately guided tour of the Uffizi, one of the most famous art museums in the world. While the adults tour the collection, Junior Adventurers will join the Adventure Guides for a fun art detective game. The subsequent morning’s excursion to Lucca for a bicycle ride atop the famous walls of the city is followed by a visit to Pisa for views of its leaning tower. The next day brings Sienna where you'll relish the historic medieval square and learn about the famous Palio horse race, lunch at Ristorante La Finestra, then taste wine at a local farm. End your spectacular trip with a farewell dinner perched high above Florence overlooking a nighttime view of the sparkling city. The Kingdom of Norway, setting of Disney’s animated adventure, Frozen, is revealed in all its magical beauty on this 7-night adventure. 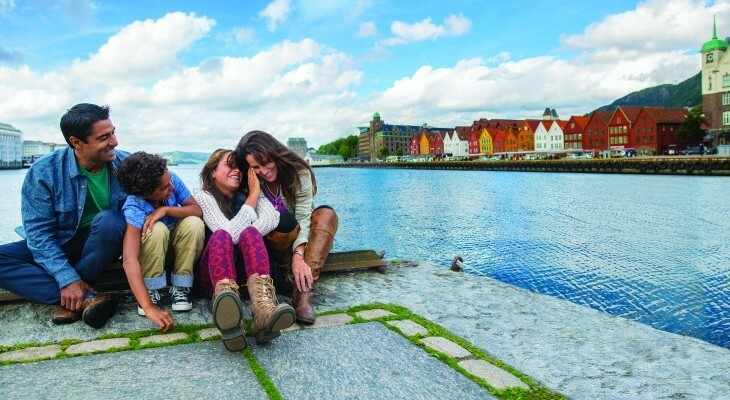 Convene in Bergen, a storybook village that was the inspiration for Arendelle where Anna and Elsa live at the Radisson Blu Royal Hotel, your home for the night. Located in the heart of the 700-year-old Bryggen area it’s an absolutely charming UNESCO World Heritage Site. Meet your fellow travelers for a welcome dinner overlooking the waterfront. Adventure begins in full force the next morning with river rafting in Voss amid stunning mountain vistas. Have lunch in a grass-roofed cabin before departing for Flam. From the historic Fretheim Hotel launch your excursions to dramatic fjords on RIB (rigid inflatable boat), a visit to a 12th century Stave church, and lessons in cheese making. The next day it’s off to Geiranger and the Hotel Union for some of the most spectacular scenery in Norway. Upon arrival begin to enjoy several days of activities such as rainbow trout fishing, row boating, a Briksdal Glacier safari, hiking to a farm, a ferry tour past the town’s Seven Sisters waterfall, and a stunning viewpoint of the fjord of Geirangerfjord. Continue to Oslo via train and a night at the Grand Hotel Oslo to enjoy Norway’s capital city where a farewell dinner with traditional Norwegian folk dancers and musicians tops off your last evening. 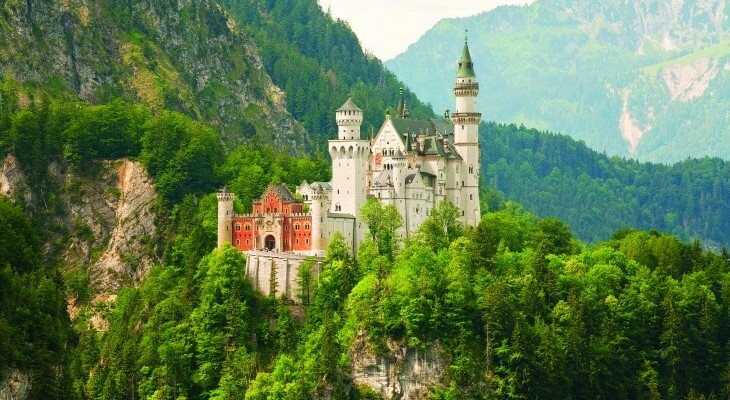 Talk about magic: touring Germany’s castles and quaint villages amid gorgeous scenery! Begin with a private visit to Heidelberg Castle and dinner in a traditional biergarten. Then on to medieval Alsfeld to walk in the footsteps of the brothers Grimm and discover what inspired their charming stories before picnicking in an outdoor courtyard, visited by none other than Little Red Riding Hood. Spend two nights in a real castle (maybe the trip highlight) at the Hotel Schloss Waldeck with evening dinners overlooking incredible vistas of Lake Edersee from within the hotel’s 800-year-old walls. Next day begins with a privately guided bike tour through the German countryside followed by a relaxing boat ride on Lake Edersee. A cookout lunch precedes archery lessons and beer tasting in a local brewery. Another highlight is Lowenburg Castle and a royal welcome by a real German princess, followed by lunch at a manor house after which you’ll journey to Rothenburg, one of the most picturesque places in Germany. That evening walk with a night watchman through cobblestone streets. The following day princesses dress up in princess costumes at a Medieval Shop, and everyone learns how to pretzel twist (and taste!) and savor authentic German cuisine at the oldest hotel in town. On the way to Munich stop at the Steiff Bear Museum for a tour and lunch, then travel south along the scenic Romantic Road to the historic Hotel VierJahreszeiten Kempinski Munchen. Enjoy a walking tour of Bavaria’s capital that afternoon. A side visit to the awe-inspiring Neuschwanstein Castle, the inspiration for Disneyland’s Sleeping Beauty Castle, comes complete with a horse-drawn carriage ride through the countryside and lunch with picture perfect views of the palace. This memorable trip ends with a traditional dinner accompanied by oompa music, song, and dance. Let Us Help You in Planning Your Adventures By Disney® Vacation! 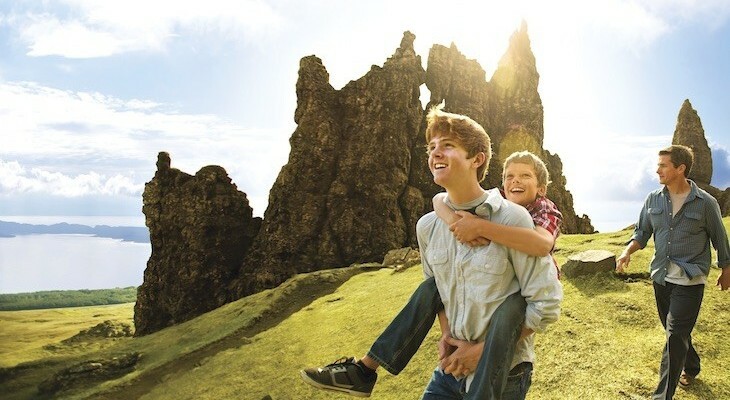 Allow me to connect you to the expert travel advisors at Glass Slipper Concierge to plan your Adventures By Disney vacation. Your luxury Travel Advisor and Disney Destinations expert will work with you to create the perfectly planned trip of a lifetime, making sure that nothing is left to chance.